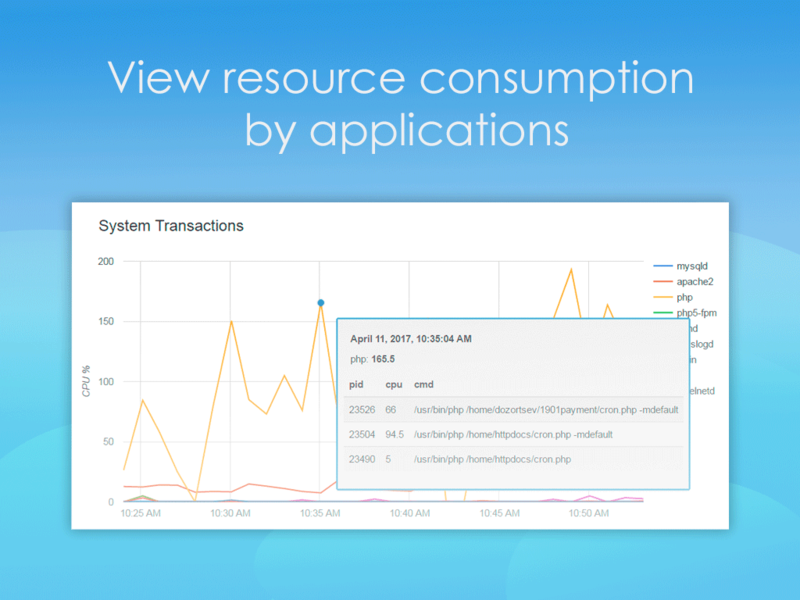 Keep an eye on your CPU and Memory load history. Also available for Magento 1. 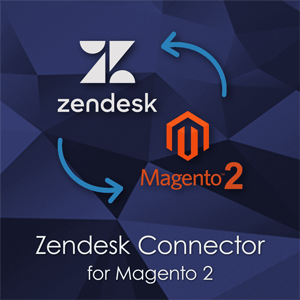 Do you have performance problems with Magento 2 store? Pages are slow to load, sometimes pages return an error, or even worse - the server is down and you don’t know why? You'd better start with monitoring! Such a situation may happen if some process consumes too much system resources - CPU and RAM (Central Processing Unit and Random Access Memory) and surely it’s quite troublesome to inspect and locate the reasons of the troubles. Why is it so difficult? 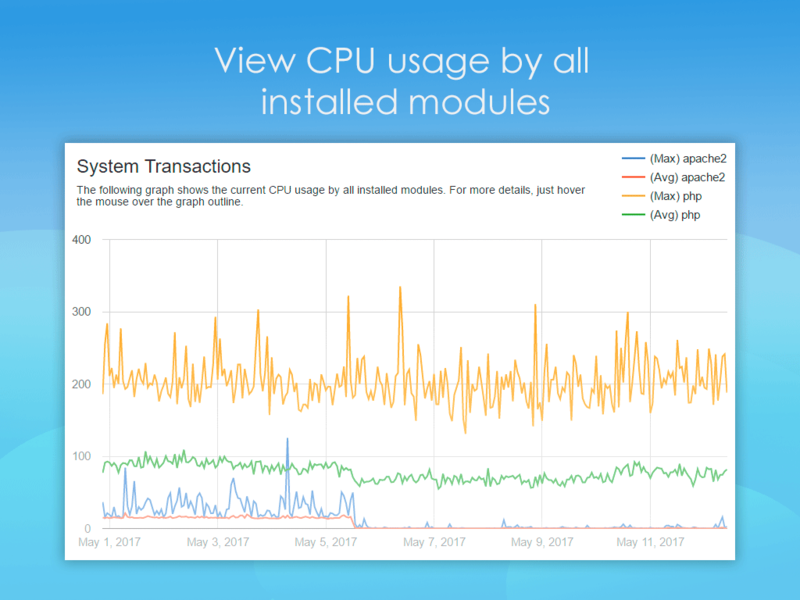 Even if you have the opportunity to view the current CPU and memory usage, the problem might be no longer reproducible. 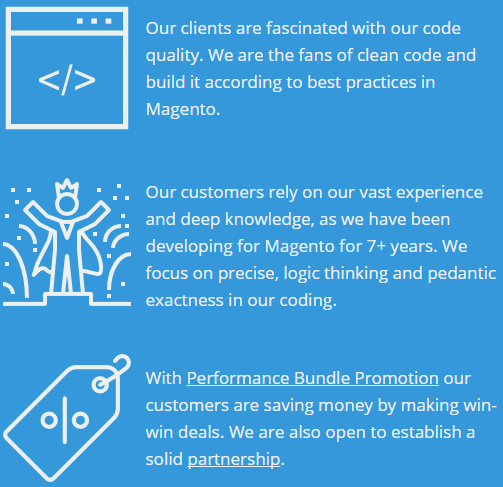 Performance Monitoring Magento 2 extension is developed to help owners and system administrators keep an eye on their Magento 2 stores performance. 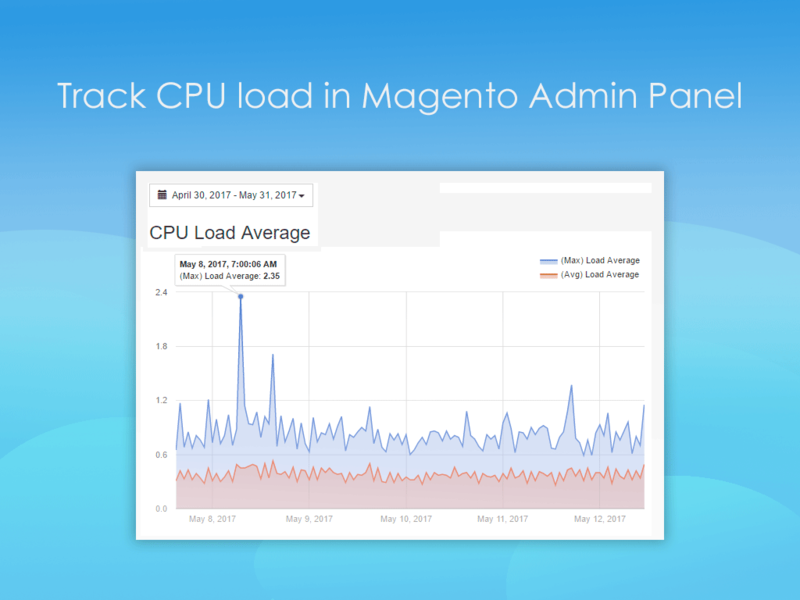 Performance Monitoring Magento 2 extension stores statistics and CPU load details in the database, which allows you to check statistics not only at the moment, but also to check statistics in a historical context. This allows store owners to identify the time period and the reasons for the peak loads. 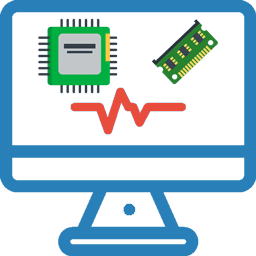 The main feature of this extension is storage and displaying detailed load history of CPU and RAM. Information is displayed in a form of a graph, and is accompanied by a list of the most heavy and durable processes. 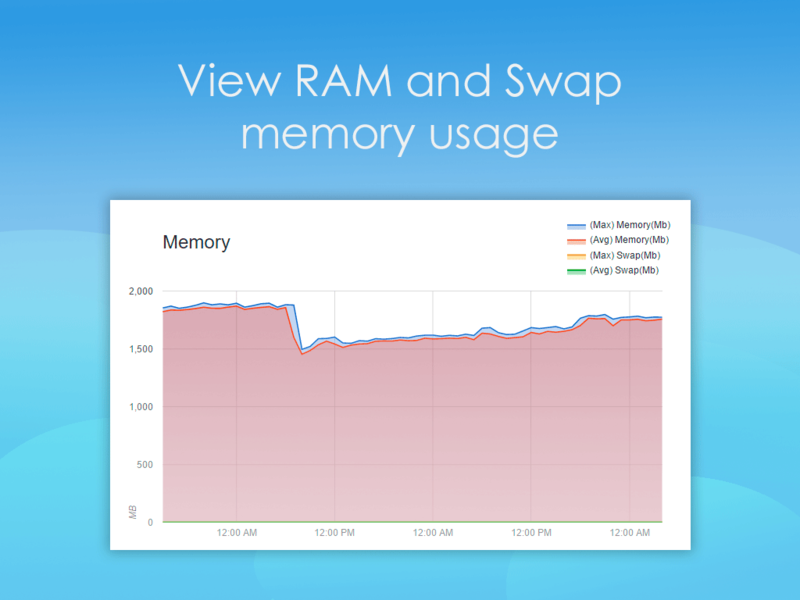 SWAP memory is a type of memory that is used in case of insufficient RAM. SWAP uses a hard disk for data storage, and operations with the hard disk are relatively slow (especially if you do not use SSD). 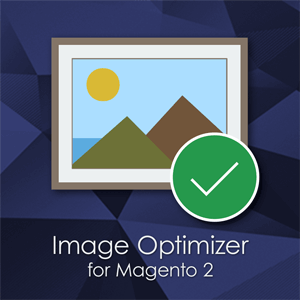 Performance Monitoring Magento 2 extension displays performance statistics, which will help you to understand whether your server capability is enough, or it's time to upgrade your hardware. E-commerce businesses incur large losses if the site is overloaded or even completely unavailable. Unfortunately, such unfortunate situations sometimes occur. To reduce potential losses, your system administrator should be notified of problems on the site; this will help him timely take the necessary action to troubleshoot. 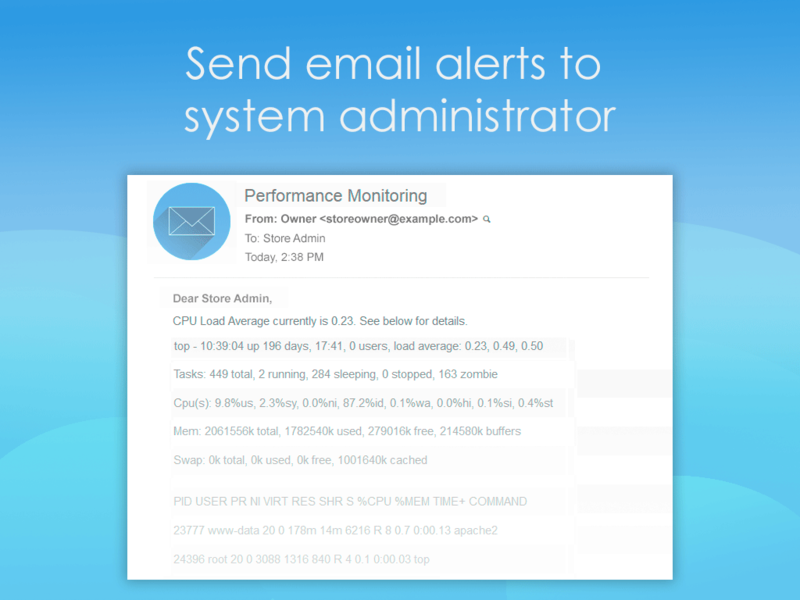 Performance Monitoring Magento 2 extension sends email notifications upon high CPU load. 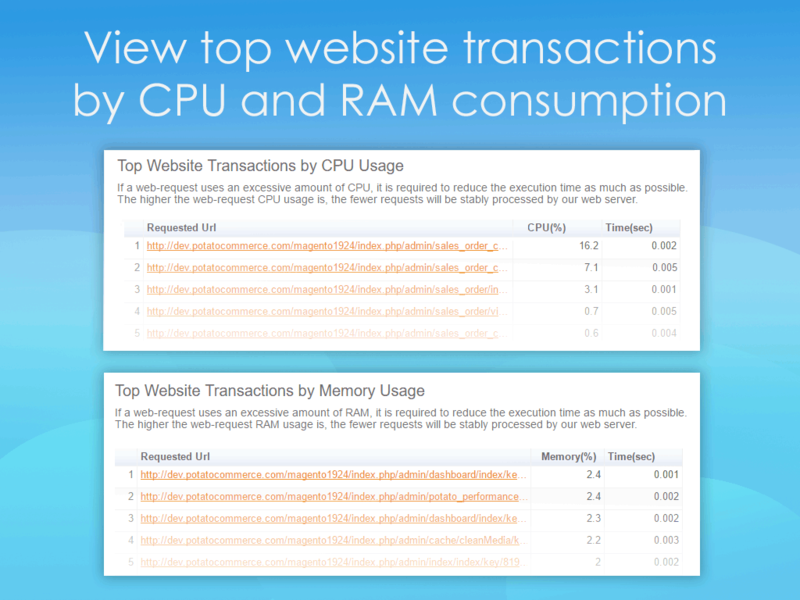 Performance Monitoring extension by PotatoCommerce displays information about the top website and system transactions. It allows store owners to know which processes load processor and RAM. 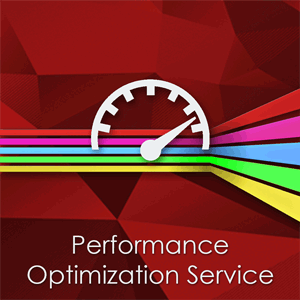 This information helps to identity performance bottlenecks. 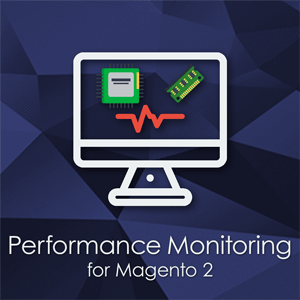 Performance monitoring information is available directly in Magento 2 admin panel. This is much more convenient than using third-party services for performance monitoring, or to check the current load in UNIX console. By the way, Performance Monitoring extension also allows you to check information about free hard disk space. 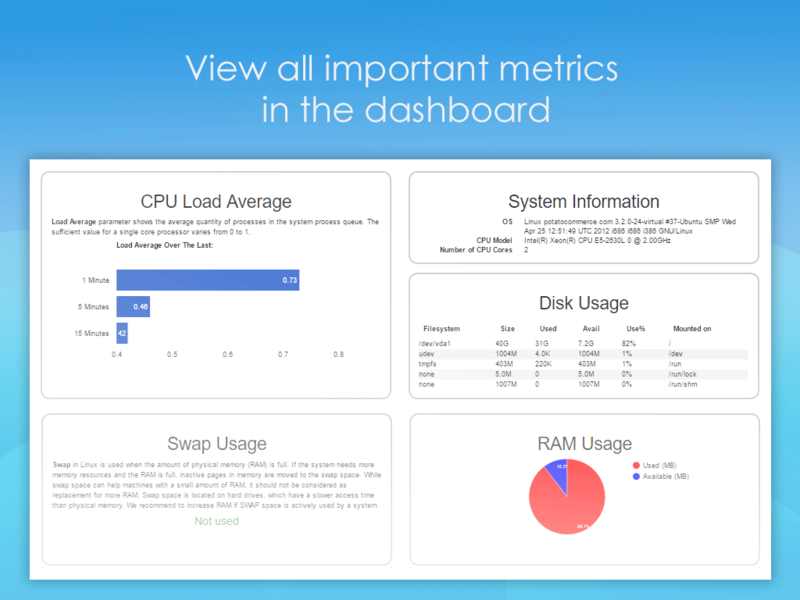 Performance Monitoring has smart calendar interface that allow you to select one of the predefined periods of time (this month, last 7 days, last 30 minutes, etc. 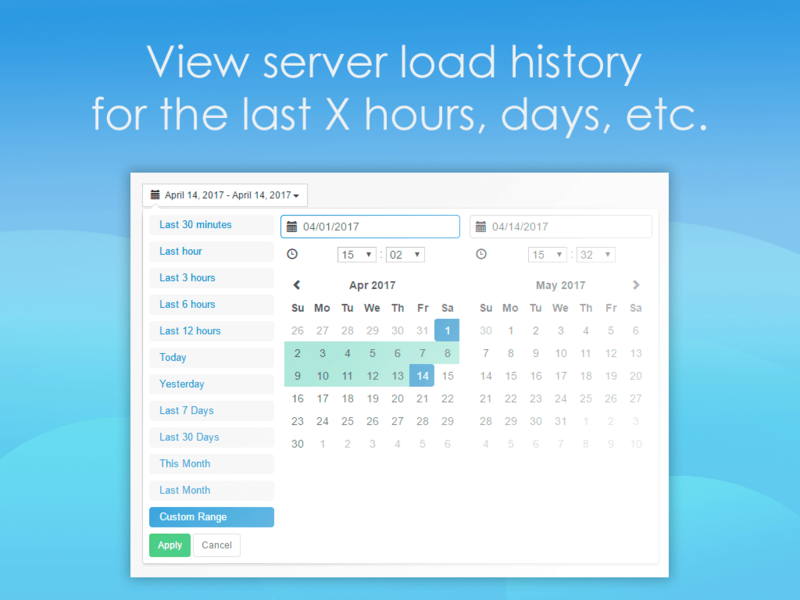 ), or set your custom time period in just 3 clicks. 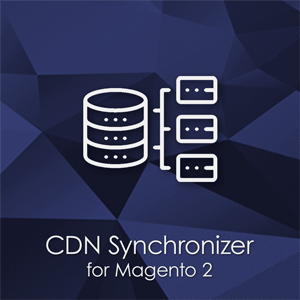 I think it's a must-have extension for any Magento 2 store. Keeping an eye on website performance is a crusial thing. 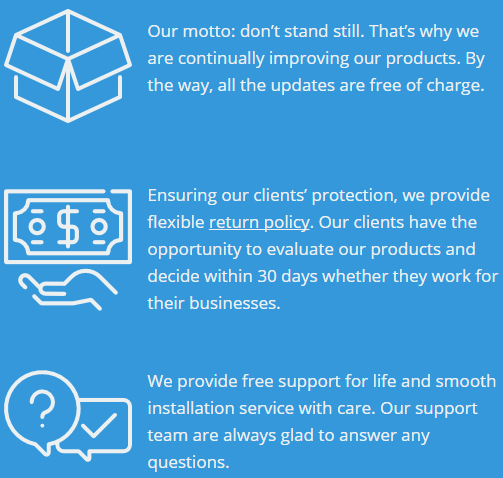 Support is fast and helpful. Thanx! Go to Stores > Configuration > POTATOCOMMERCE > Performance Monitoring, configure and enable the extension.